America: the only culture in the world that feels “happiness” is an entitlement. A right. A “must have.” The “pursuit of happiness” is even written into our Declaration of Independence. And this “pursuit” is never ending. Ah, happiness is so elusive. They say it’s like a cat… if you pursue it, it evades you. When you ignore it, it comes to you. This “happiness” craze has even crept into American business culture. 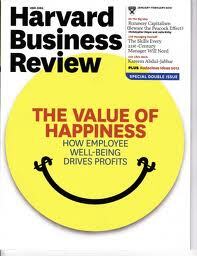 In fact, the Harvard Business Review devoted an entire issue to happiness in the workplace. There are over 27,000 books and publications on the subject of happiness. Ironically, the airline industry, which is synonymous with “unhappiness” (think: delays, anxiety, fear of crashing, physical violation by TSA personnel, etc.) is starting to take off on the “happy” trend. My blog for Kaplan Thaler highlights three kinds of happiness that colored discussion at the Hamburg aviation show this year: physical happiness, emotional happiness and social happiness. Click the graphic below if you’re interested to read how happiness is taking flight!